111.18a. Attributed to "Sherratt." 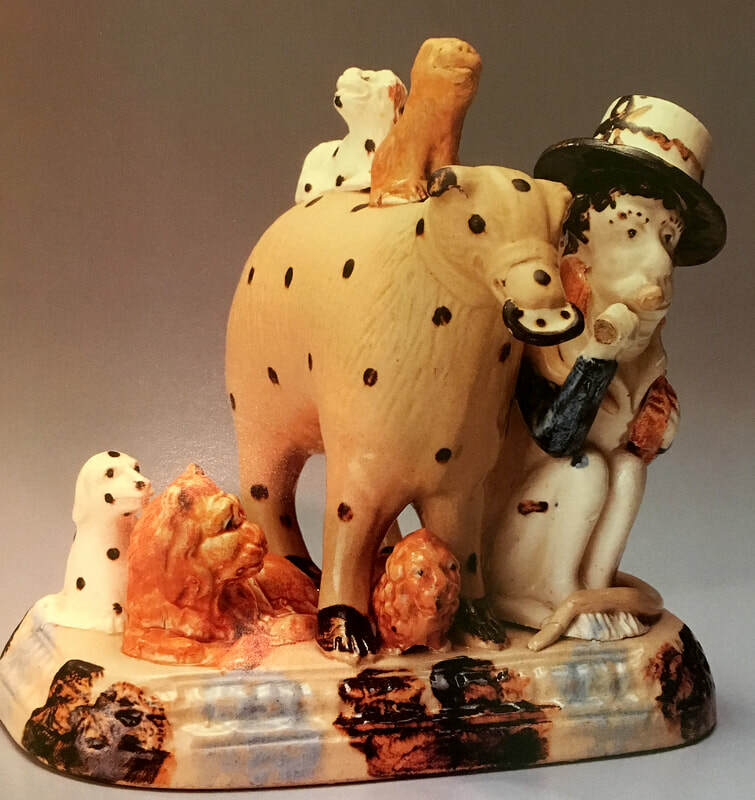 The only recorded performing bear from this pot bank. 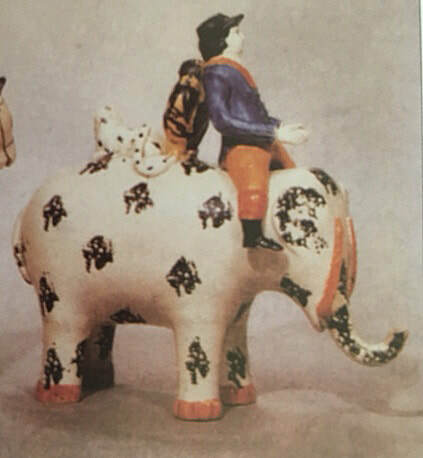 From Beddoe and Halfpenny's "Circus & Sport." 111.18b. These spectacular bocage fronds occur on a few other figure groups (for example, 121.1 in this volume). 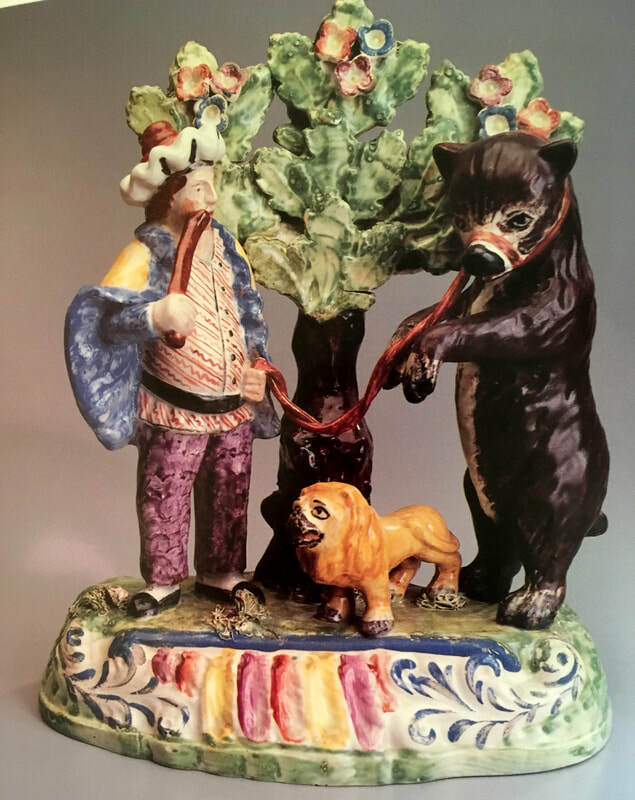 (c) Christie's. 111.31a. 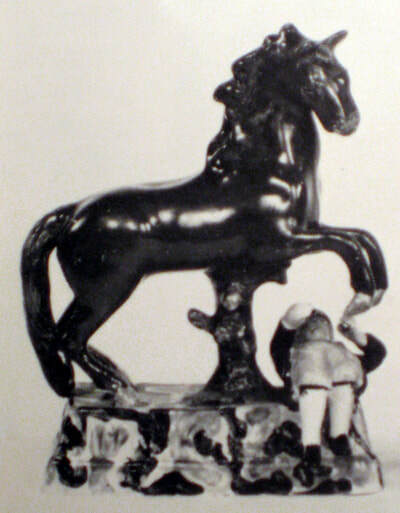 This is the only known example of this "Sherratt" piece. I know of two similar groups with a vase, as in 111.31. 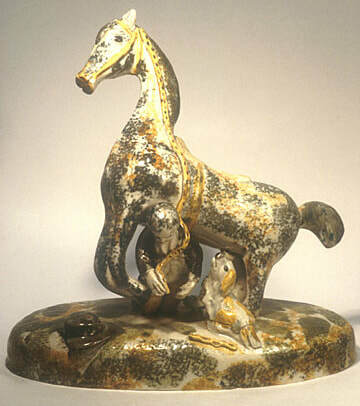 Equestrian figures such as this one depict circus routines. 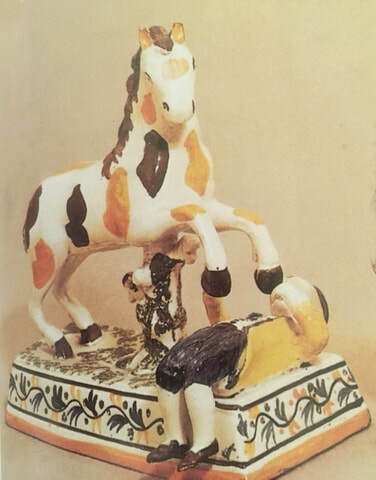 This figure is as shown in Griselda Lewis's "Pratt Ware," third edition. 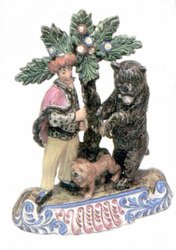 Possibly this figure group is enamel-painted. If you know, please inform me. 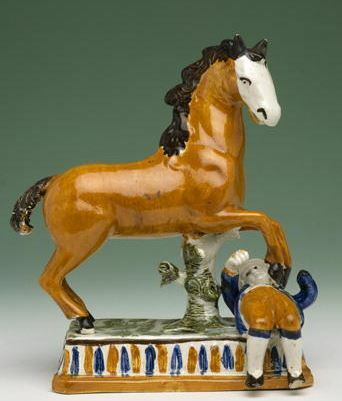 (c) Brighton and Hove Museums. In the Potteries Museum and taken from Beddoe and Halfpenny's "Circus & Sport." Appears courtesy of Sotheby's in the second editon of Griselda Lewis's "Pratt Ware."